Here I sit in the Baltimore City court house deep in the halls of justice awaiting my turn to (hopefully be rejected from the opportunity to) fulfill my civic duty of sitting on a jury. It’s not that I don’t want to be a cog in the wheels of justice that propel our grand American expirement down the highway of history, it’s just that I have a whole lot of patients scheduled to be seen in my office this week and rescheduling them will be a nightmare. Unfortunately, justice is blind to my outpatient schedule so I’m proud potential juror #1068. Since I’ve been here an hour and a half and they’ve only got up to calling up to #200, I have some time to write down a continuation of my previous arugments in favor of calorie counting. Since I’m potentially participating in a criminal trial, I thought I would lay out the case for and against calorie counting. I will start by playing prosecuting attorney in the case of The Overweight v Calorie Counting. The calorie values on the side of the package don’t necessarily reflect how many calories are actually absorbed. These values are calculated by knowing that 1 gm of fat, carbs, and protein containe 9, 4, and 4 calories respectivelty. To figure out the nutrition facts the food manufacturers do the math based on the amounts of these three macronutrients present in their products. The problem with this method is that it assumes that our gastrointestinal systems acutally liberate that exact number of calories. In fact there is evidence that some foods liberate fewer and some more than stated on the package labels. As an example nuts appear to release fewer calories than listed on the package. Cooked foods release more than raw foods. This means that processed foods which often are made with high temperature procedures may have more easily released calories. Our own intestinal flora may potentially impact how many calories are absorbed from the food. There is evidence that changing the intestinal microbial flora will change the weight of an individual. The evidence is weak and preliminary but still eyebrow raising. It may be that each individual absorbs different amounts of calories from the same foods based on the individual make up of their intestinal bacteria. People aren’t usually accurate in their measurements. It is difficult to get the precise measurements of foods. Few people are so precise as to measure everything out exactly. When you sum it all up. It appears that calorie counting is inaccurate and unreliable in helping you lose weight. In a certain respect I agree with this statement. Calorie counting is inaccurate and unreliable if you are using it to predict exactly how much weight you will lose. For example, if you were using a calorie counter assuming that for every 3500 calories your balance was negative you would lose one pound, you will be disappointed. You may lose more, you may lose less. If, however, you use calorie counting as a relative measure of your intake and as a guide to make changes I think it is a very useful tool. It all depends on how you use it. As an example, if you set for yourself a daily goal of 1500 calories and you stick to this goal for a while and you’re losing weight, stick with it. If you are not losing weight, it could be for one of the following reasons. You’re not measuring correctly. It may be that a few extra unmeasured snacks here or an underweighing there could be making a huge difference. If you think this is the case try to be more strict with your counting. Your unique microbial flora is better at liberating calories. Congratulations, you have won the evolutionary lottery! You are far more likely to survive a famine owing to your extreme efficiency at extracting energy from your food. Unfortunately, this is not so hot if you are not a hunter gatherer on the prehistoric African savannah. This means that you are actually absorbing more than the desired 1500 calories. In this case you should try to lower your calorie goal or increase your activity levels. The balance of macronutrients your are eating is releasing calories more favorably. It may be that even though you are meeting your daily calorie goals you’re getting too much cooked or processed foods so your body is actually absorbing more than you would like. In this case you should consider shifting towards a less processed, more raw, and lower carbohydrate nutritional balance. 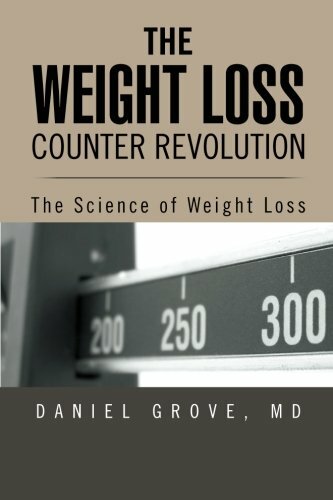 In summary, while calorie counting is not good for determining exact measures of intake it is a good relative measure. If you are sticking to your calorie goals and eating relatively the same balance of food daily and you are not losing weight, you can make the above changes. Calorie counting is very useful when used correctly. There are other benefits as well. As I mentioned in my post titled Why Calorie Counting Works (check it out! ), calorie counting is a very good tool for giving you a bit more motivation. You’re less likely to have a little snack here or an extra piece of this there if you have to keep track of everything. Those small decisions added up over time can make a big difference. Well, it’s been another hour and they’re only up to juror #400. I’m not going anywhere for a while. I won’t get a Snickers from the snack machine, though, too much of a hit on my calorie counter.